Follow along with fossil hunter extraordinaire Jackson Foster as he documents his 1929 expedition across North America in search of clues revealing the wonders of the prehistoric world. 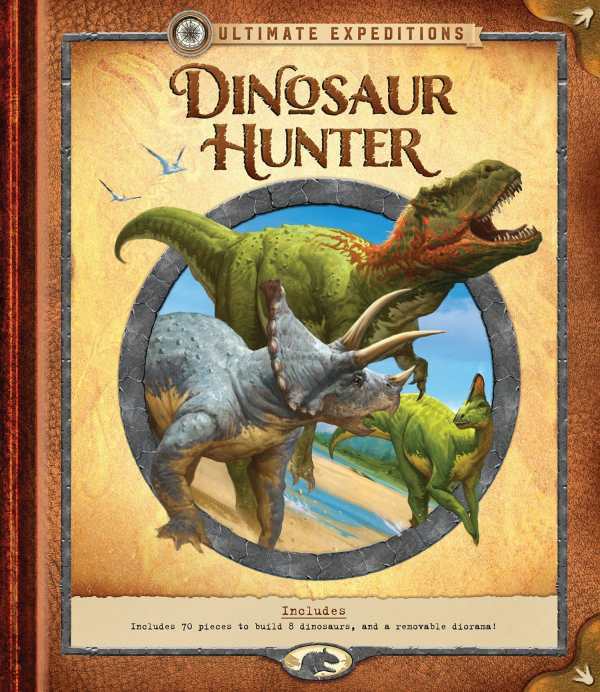 Maps, color photographs, detailed illustrations, historical facts, and, of course, countless insights into the habits of dinosaurs themselves are all included in an appealing field journal. Junior paleontologists will revel in the construction of a 3-D diorama complete with eight freestanding behemoths from a tyrannosaurus to a triceratops.